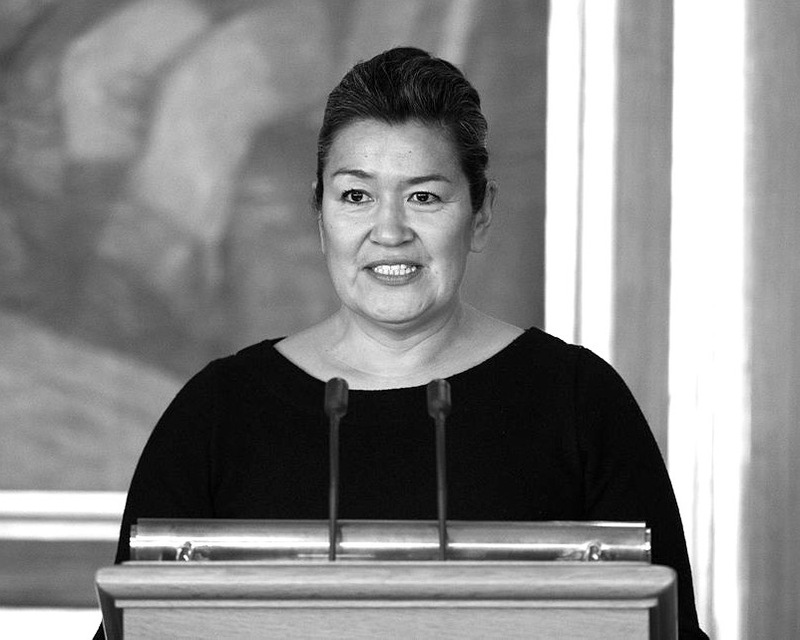 Aleqa Hammond is a Greenlandic politician and member of the Danish Folketing (parliament). Formerly the leader of the Siumut party, she became the country’s first female Prime Minister after her party emerged as the largest parliamentary faction in the 2013 elections. Ms Aleqa Hammond was born in 1965 in Narsaq (South Greenland) and raised in Uummannaq (North Greenland). As a 7 year old she lost her father, who was hunting. Her mother stood alone as 27-year-old with three young children. Ms Hammond has studied at Arctic College in Nunavut. Between 1999 and 2003, she was commissioner of the Inuit Circumpolar Council, and also worked on the 2002 Arctic Winter Games. From 2004 to 2005 she worked in the tourism industry in Qaqortoq as a tourist guide. She ran for Parliament in 2005, where she was elected with the 5th highest number of personal votes. She has been Minister of Family and Justice, and subsequently of Foreign Affairs and Finance. Aleqa was made Chairman of the Siumut Party in 2009. Very internationally oriented, Aleqa Hammond has made it her priority to travel the world since age 15. At 25 she had already visited 50 different locations during her travels learning 5 languages (Greenlandic, English, Danish, Inuktitut and German). In addition to travelling abroad, she has also made it a priority to travel around in her own country, and has visited most places in Greenland.